V.K is now giving you a chance to win an autographed『Deemo OST Vol.1』! Follow the instructions below and get your chance to win! 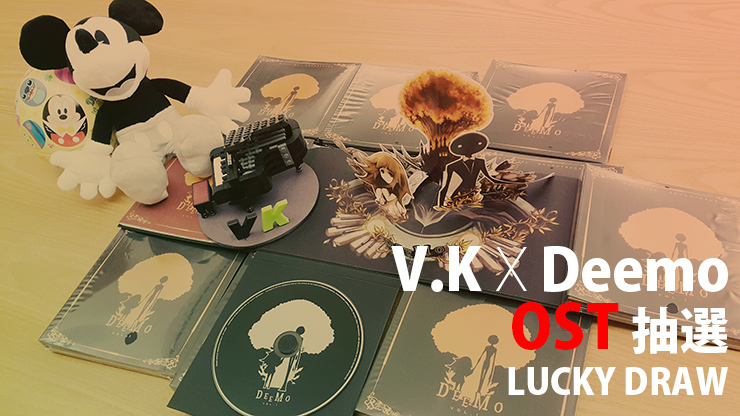 V.K will be giving out『Deemo OST Vol.1』to 2 lucky winners through a lucky draw.